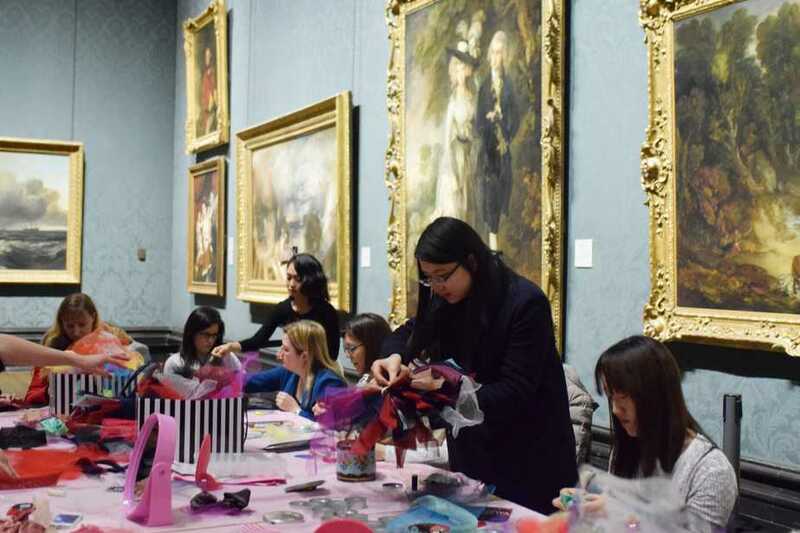 Valentine’s Fascinator Making at The National Gallery. 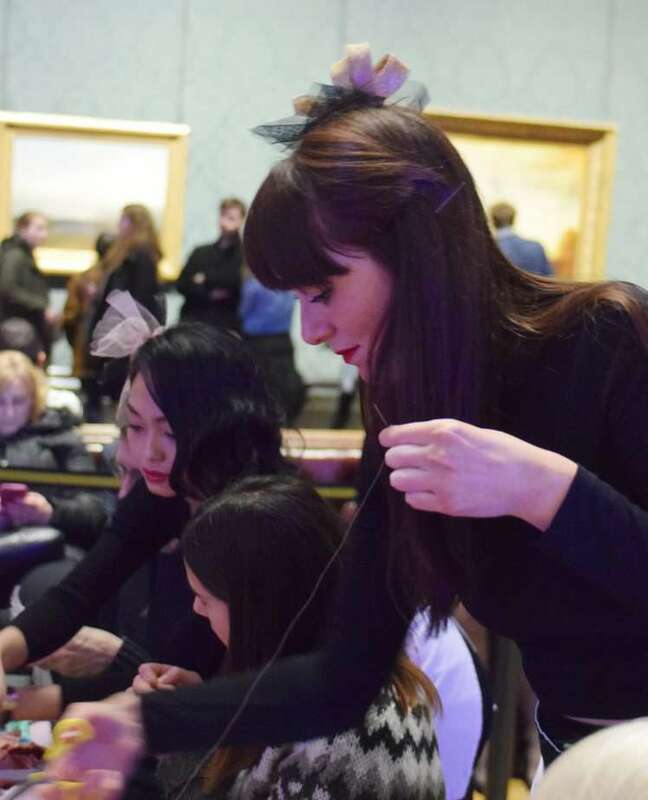 When The National Gallery contacted me to run a fascinator making workshop for the first time I couldn’t believe it, but when they asked us back for the second time I was really thrilled. 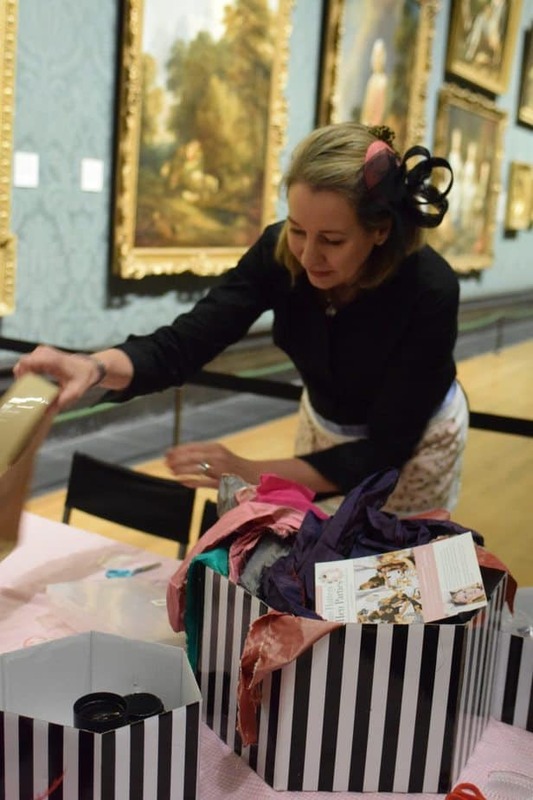 Us Glam Hatter Girls packed our ditsy flower print suitcases, jumped in an Uber from our studio in Angel and arrived at The National Gallery, Trafalger Square ready to host a brand new Valentine’s Fascinator Making Workshop with pure excitement! 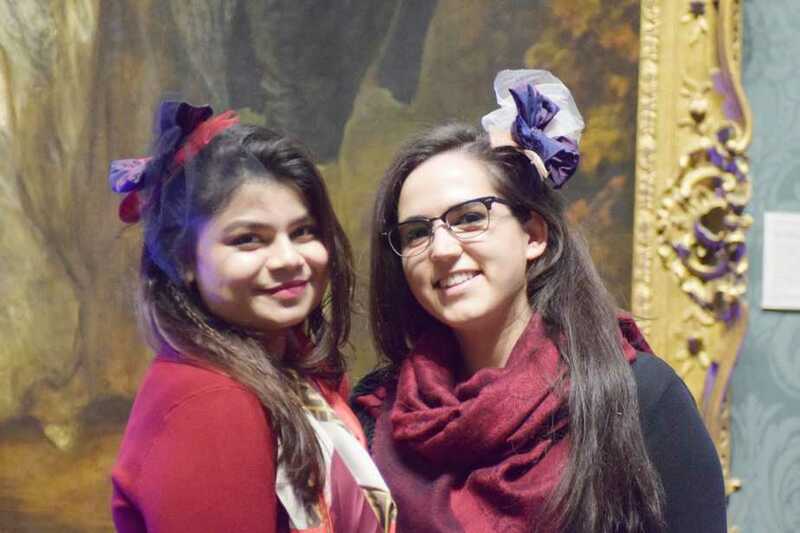 We were in a huge room of the gallery, surrounded by master-pieces, with classical music blaring through the gallery speakers and a que for our workshop all around the gallery and WE LOVED IT! 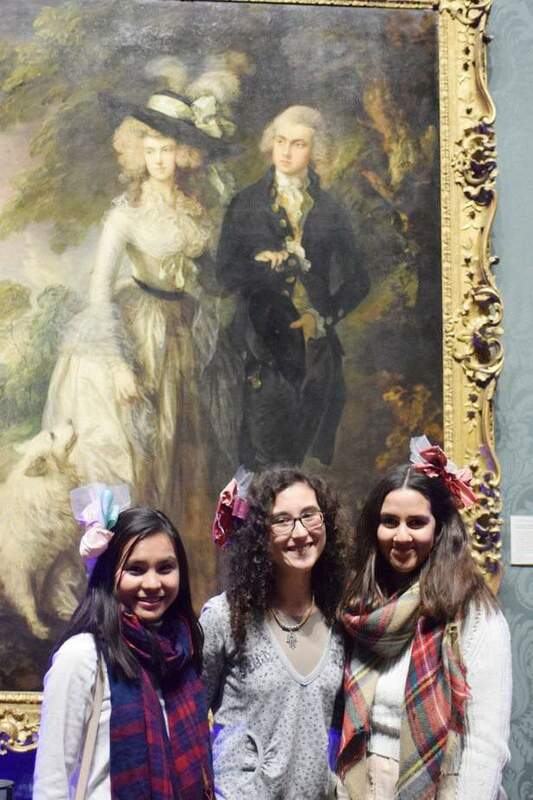 I designed the workshop around the Valentine’s theme and use “The Morning Walk’ by Thomas Gainsborough as inspiration. 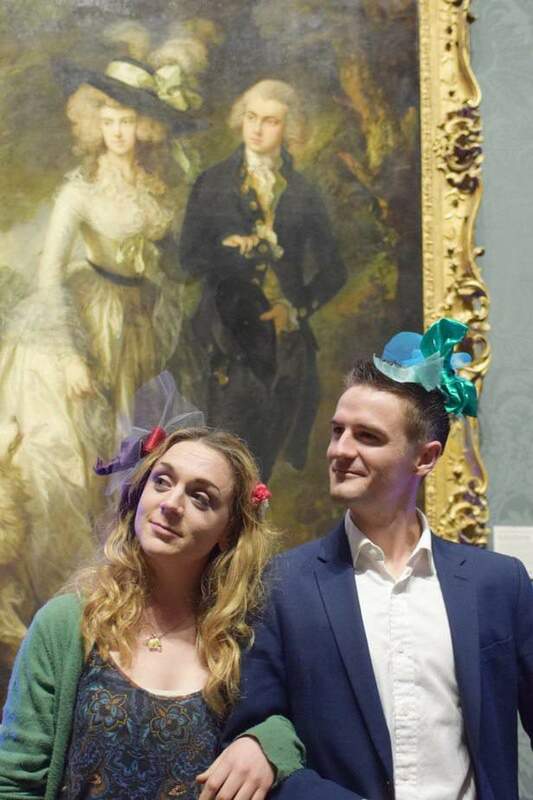 In the picture of Mr and Mrs William Hallett , Mrs Hallett is depicted wearing a beautiful hat with a huge taffeta bow as a hat band. I used taffeta as the main material of the fascinator and added tulle to give a fashion edge along with sinamay for shape and beautiful heart shaped Swarovski crystals to reflect the Valentine’s theme. There is something really quite amazing about The National Gallery, I can’t help feeling totally in awe of the surroundings. Beautiful huge paintings, gorgeous wall paper and wood panelling, even the floors are utterly stunning. We were slightly worried about wheeling our suitcases of materials over the floors and received a few desultory looks from the security guards but we trotted along behind Laura the events organiser and refused to meet the eye of the security guard in case he asked us to carry them rather than wheel them! 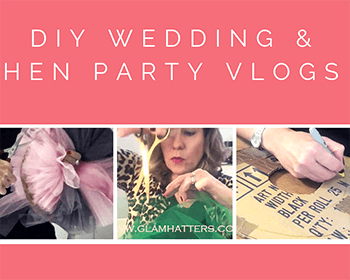 You’d be surprised at how heavy a suitcase of feathers and millinery materials can be!! 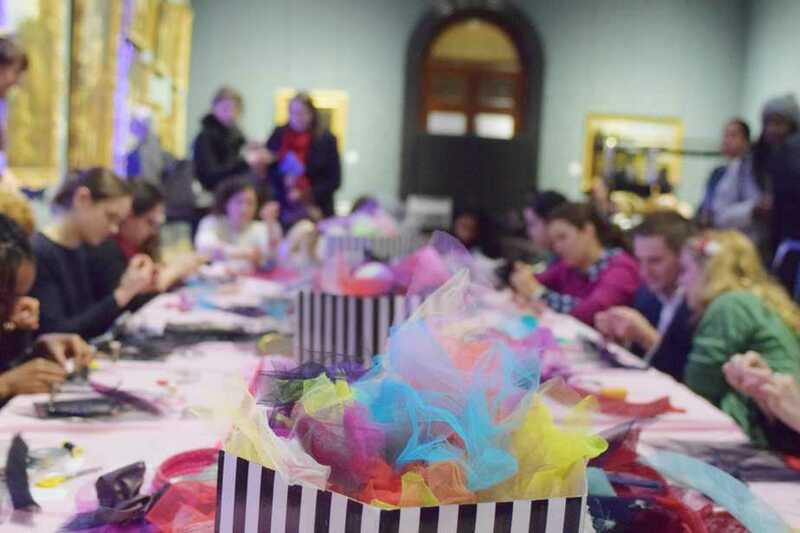 The fascinator making workshops at The National Gallery are a little different to our usual Glam Hatters hen party workshops as none of the people attending actually know each other. This means a little less chatting (at the beginning anyway!) 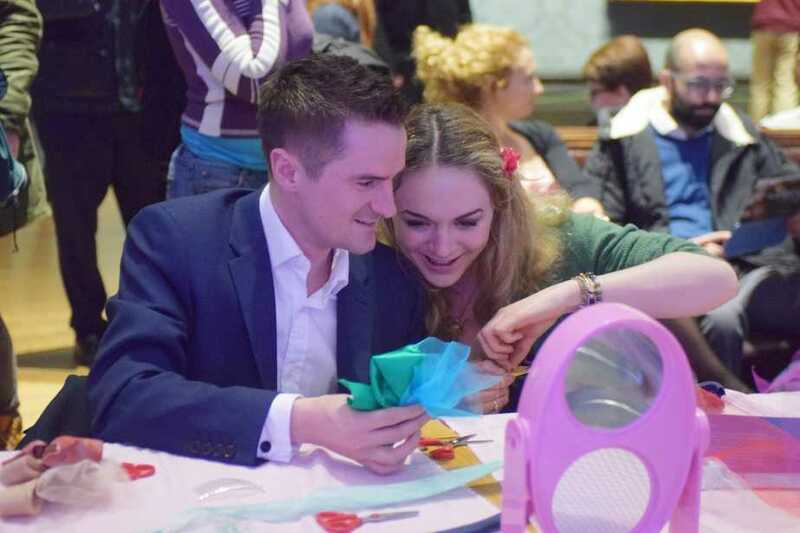 and a lot more concentration – at least until about 5 minutes into the workshop, by which time the girls had bonded over colour choices and choosing styles of fascinator. 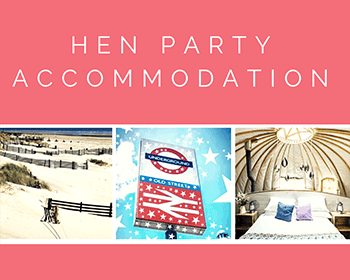 The noise levels soon rose and in no time at all we were enjoying the usual girl chat along with lots of giggles! 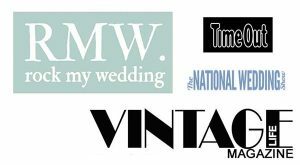 One of the things I love about teaching fascinator making is that I get the chance to chat to the customers and learn a little bit about them. 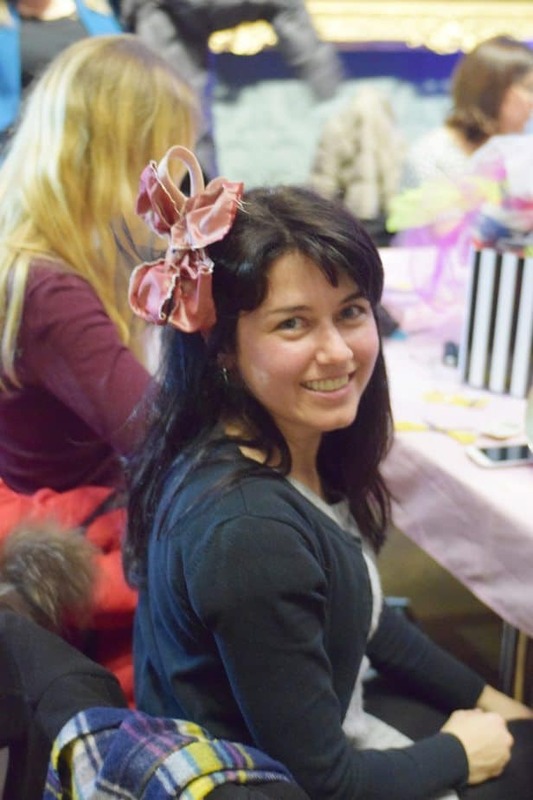 I also love that 80% of the people I meet at the workshops say that they are not creative … and then they go on to make the most gorgeous fascinators! Another unusual thing about the workshop at The National Gallery was that we had a couple of guys in the group. 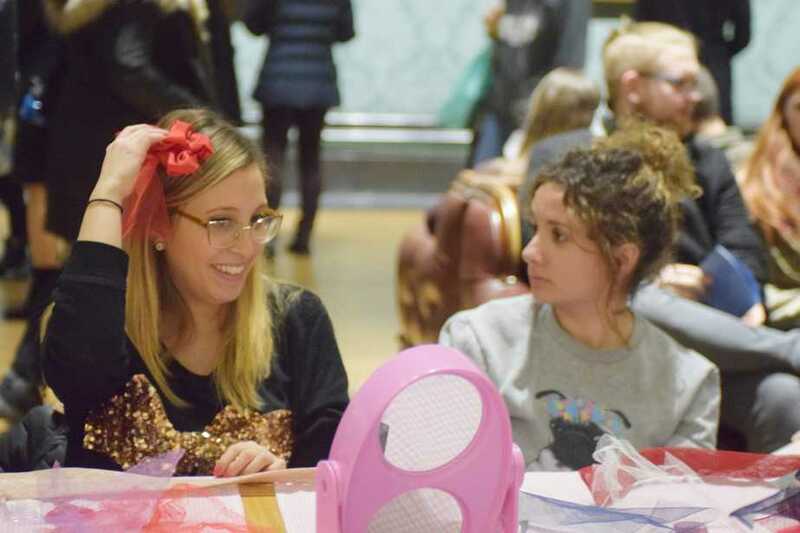 They made fascinators for their girl friends and they were so cute and took the sewing really seriously. It made me realise we definitely need to have an option for guys. Since the workshop I have ordered in some super cool men’s trilbys. 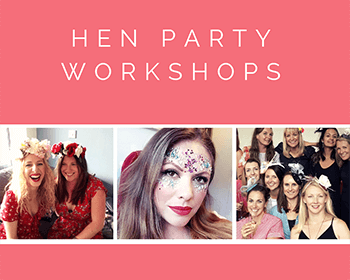 So now if we have any guys on the hen party workshops – and we’ve had a lot of enquiries about this lately (see our “Staggering Hen Party” blog) – the guys can decorate their trilbys and have something of their own to look fabulous in. 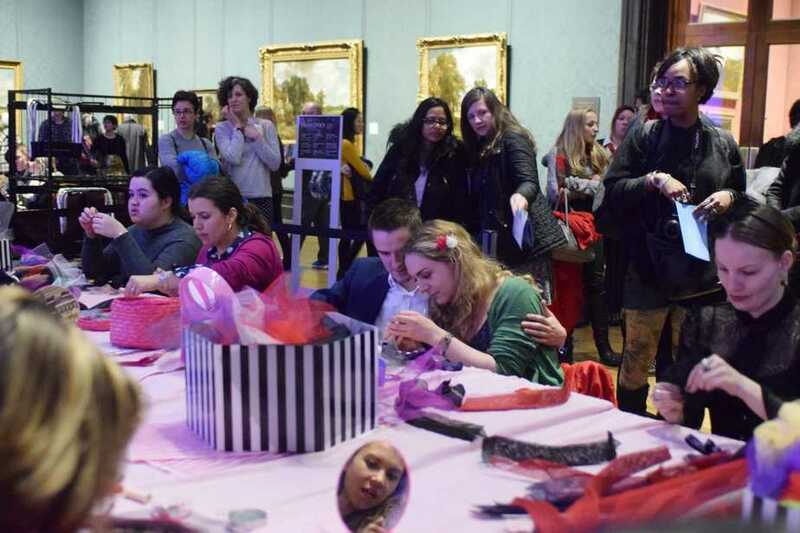 The Valentine’s Late event ran from 6pm till 9 pm and The Glam Hatters ran 2 workshops each for 20 people back-to-back. It was a whirl wind of music, making, chatting and sewing. The customers were brilliantly fun and very chuffed with their creations. Thank you so much to the fantastic team at The National Gallery for including us in their wonderful Friday evening event. 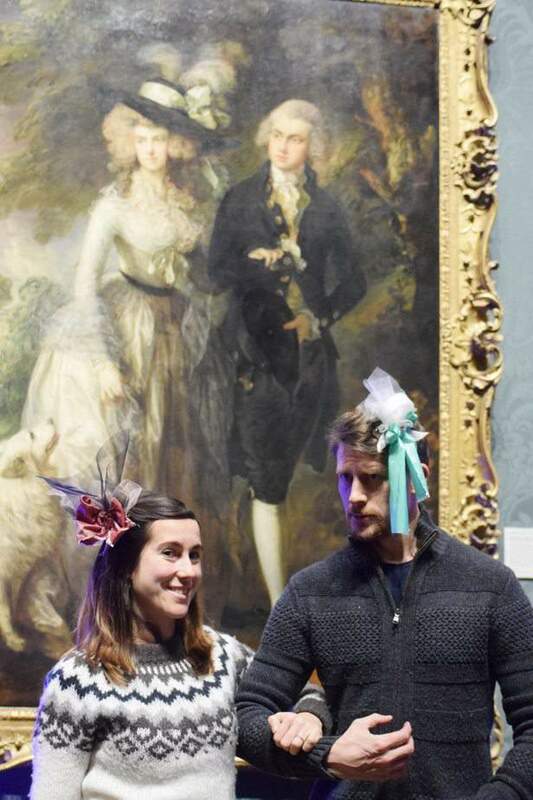 We were all so proud to be teaching fascinator making overlooked by beautiful paintings and it was so lovely to photograph everyone in their fascinators in front of the painting that inspired the workshop. 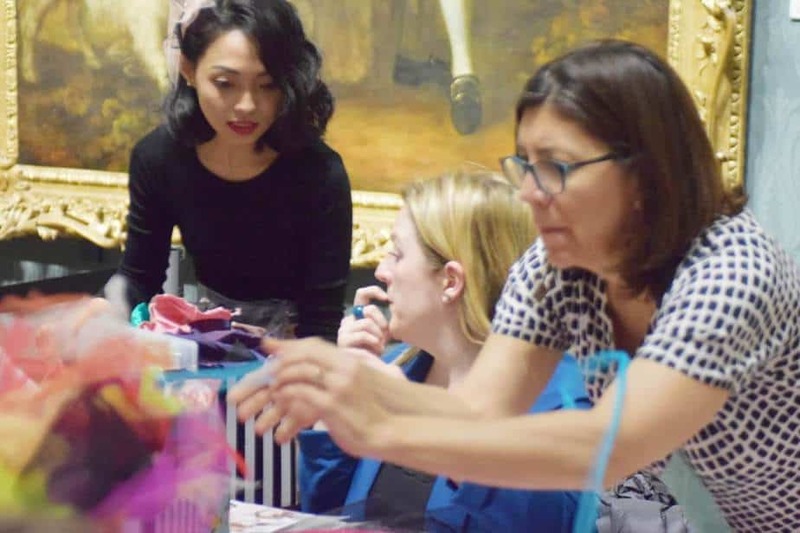 If you would like The Glam Hatters to host a fascinator making event at your event please do contact us and we will be delighted to create a bespoke workshop for you inspired by your company or venue. 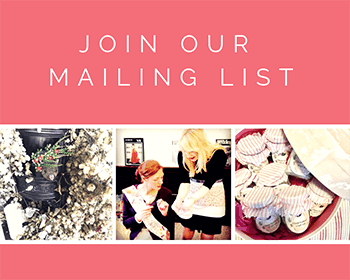 I look forward to hearing from you very soon. 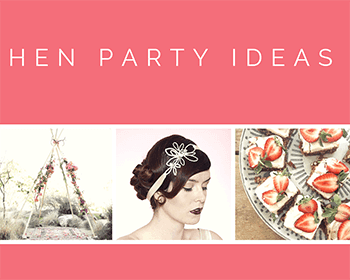 For more fabulous Glam Hatter packages click here.